The Math State Exams for grades 3-8 begin Wednesday, May 1st. Spring Break begins Friday, April 19th with students returning Monday, April 29th! This September, John W. Lavelle Preparatory Charter School, ICS’s founding school, kicked off its tenth year of enrichment and education. Since its establishment in 2009, Lavelle Prep has served over a 1000 students from 3rd-12th grade and has graduated over 90 students. Even from its early days, Lavelle Prep has strongly remained a beacon of innovation and change for education in Staten Island. Lavelle Prep has always worked towards its mission of fully integrating students experiencing emotional challenges in a college prep program. 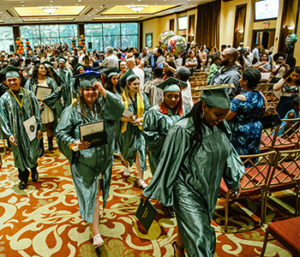 Over the last decade, Lavelle Prep Charter School has superseded its expectations with success stories from years of hardworking graduates. In fact, Lavelle Prep has consistently performed above district standard with over 90% of its students graduating and attending college. In a recent conversation with our Founder and President Ken Byalin, he had the following to say about the past tremendous decade. “Its a privilege. A growing number of us were fortunate enough to stumble on something that was needed. If the time hadn’t been right and if the community hadn’t been receptive, it couldn’t have happened. Its actually been a great gift in my life to get to be here.” Dr. Byalin, who also served as Chief of Service at South Beach Psychiatric and as the founder of The Verrazano Foundation, expressed ICS’s successes are all because of the people. “From the people that joined the team early on, to those who collaborated with us, to those that are here with us today; we have been able to watch young, beginner teachers rise to become school leaders. Our aspiration is to grow on Staten Island as long as there is a need for college prep programs in schools that integrate special education and general education kids. 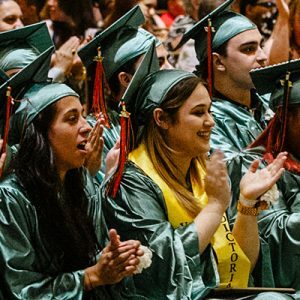 ” As long as the need for Staten Island families to send their children to college exists, Lavelle Prep and ICS will be here to light the path towards college readiness. Aside from going above and beyond to serve its students, Lavelle Prep also serves as the founding school that laid the groundwork of the Integration Charter Schools network. Since then ICS has grown and expanded with the New Ventures Charter School and the Nicotra Early College Charter School. And no, we are not going to press pause any time soon! This year, ICS was approved for its 4th charter, the Richmond Preparatory Charter School which is set open for the 2019-2020 school year. Lavelle Prep has evolved and grown insurmountably over the past decade and we could not have accomplished all our successes without our eager students and families, the support from the Staten Island community and our team of highly trained and dedicated staff.